Have you ever wanted to try Snowshoeing? 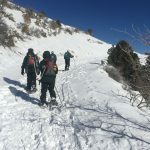 Join us for a rare guided snowshoe hike in the Spring Mountains. 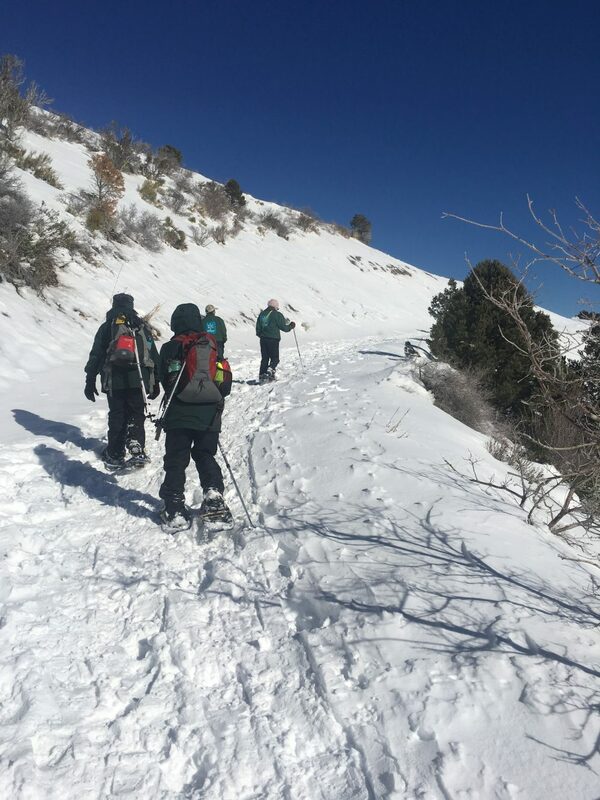 The 90-minute program is $10 and includes the use of snowshoes and poles for this morning hike through the woods with our Go Mt Charleston naturalists. 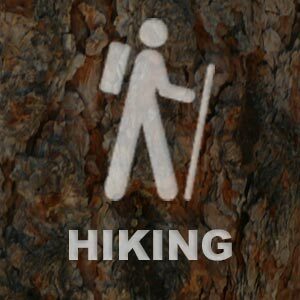 Hikers will be instructed on walking in the snowshoes then led on a hike that will last about an hour. This program is somewhat strenuous and is best for ages 12 and up. Our snowshoes fit most feet of people over age 12. Registration is required and will not be confirmed until payment is made, and registration closes at 3:45pm the day before the event. 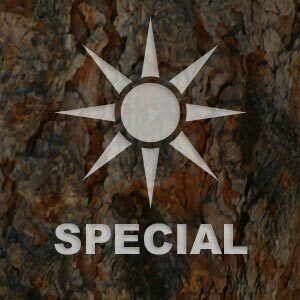 A separate email will be sent by the night before to all participants regarding exact meeting location and other important details, so check your spam folder if you don’t see it. All participants should be aware that driving and walking in the snow is at their own risk. Participants must check nvroads.com for real-time chains/snow tire requirements, and vehicles must be able to park on snowy lots that may have slush or ice. Read our Snow Season page for details. Weather conditions can change, and if a program is cancelled you will be issued a refund.